Named accurately so, these new Bring It On Leggings are perfect for the athlete ready to take on any challenge ahead. Available in 2 colourways, the Bring It On Leggings are designed to deliver the performance you need. 2-inch side stripes accentuate your physique, while a medium rise waistband and 4-way stretch fabric guarantees unrestricted movement. Crafted from the finest fabric available, no shrinking & fading is guaranteed! And with any quality material, these pants will remain soft and breathable for an eternity. Best of all, moisture-wicking technology will keep you cool and dry during any one of your grueling workouts. Sweat away! These leggings were constructed to flatter the feminine figure and create a seamless look. To finish it all off, a concealed utility pocket hidden in the waistband steps up the functionality of the pant. And we all like to be practical don’t we? Public Myth is all about athleisure. 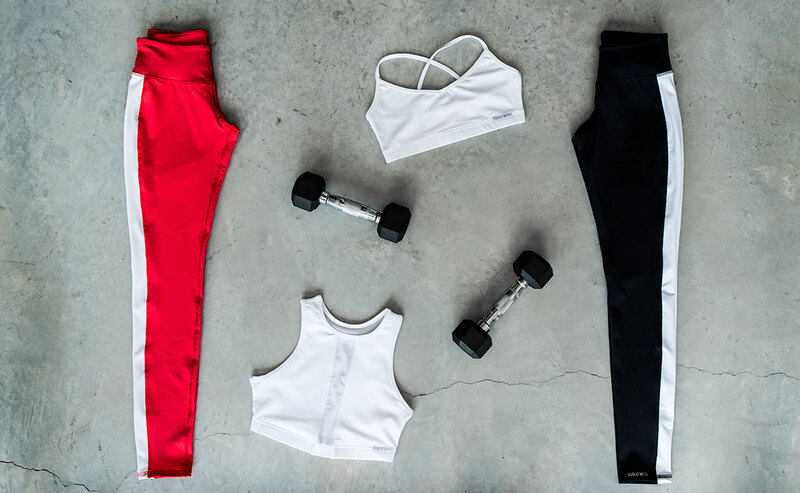 We design every piece with the intention of encouraging our customers to not only wear our activewear for workouts and athletic activities, but for all settings (workplace, school, and of course to the buffet!!) So what are you waiting for? Check them out now! Shop our Bring It On Leggings here!